Happiness is not a feeling. Happiness is a state of being. Join Deby, Jim and Jenna for a week to delve deeper into this topic and find your happy place! Happiness is not a feeling. Happiness is a state of being. 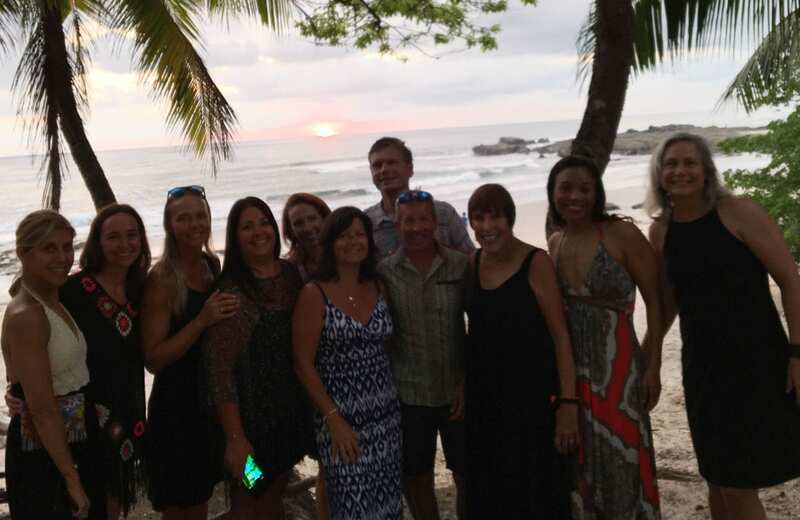 Join Deby, Jim and Jenna for a week long retreat in Costa Rica to delve deeper into finding happiness. Through movement and discussions in Yoga, Surfing and exploring Costa Rica – tap into the knowledge of happiness and how to sustain it. Our retreat is a Bodhi Tree Yoga Resort, Nosara, Costa Rica – a truly blissful and grounding place with luxury accommodations. Minutes from the beach and quaint town of Playa Guiones this week will leave you relaxed, refreshed and renewed. Leave with some tools and insights to guide you to your path of happiness! Included is an A/C room, breakfast, lunch & dinner daily, 2 yoga classes daily, surf lesson group excursion, taxes, WiFi & a special ending event planned just for you. Afternoons will be free for you to explore Costa Rica life & the beaches. Additional surf lessons, spa treatments & excursions can be added once you arrive. Your SHY retreat team will be ready to relax, and rejuvenate you into complete happiness! Visit our web site or call for more detailed info about the retreat, flight, travel times and shuttles.